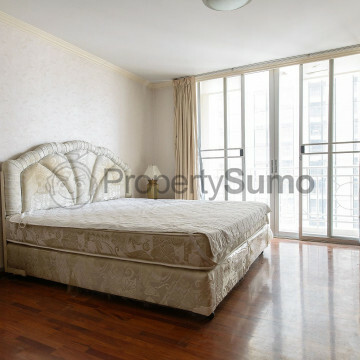 This impressive modern apartment building towers forty stories above street level and features 250 different units. 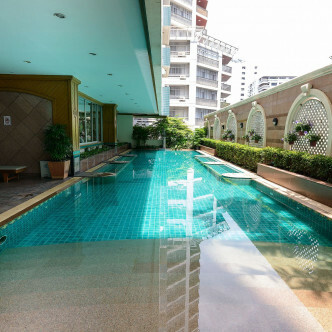 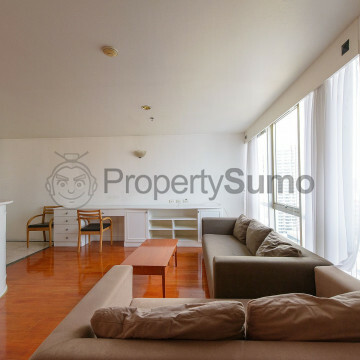 Although completed in 1996, Asoke Place has been recently renovated and features parquet marble flooring and stylish wallpaper in each of its modern unites. 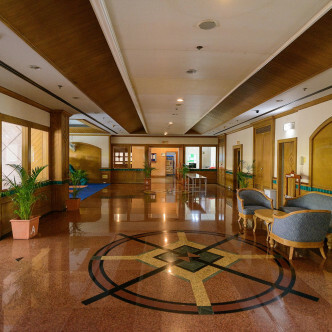 One, two and three bedroom units are available and they come fully furnished with desirable features such as large bathrooms and balconies. 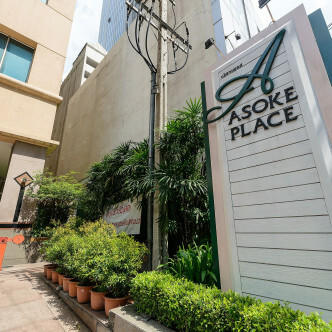 The shared facilities at Asoke Place are a real selling point. 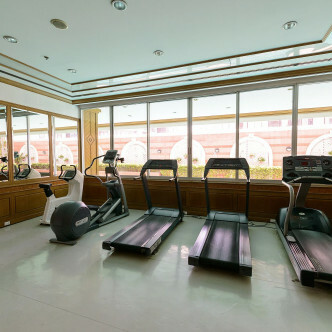 The modern fitness centre provides everything that residents need to get into shape, while the building also features a large outdoor swimming pool that is set in a pretty garden. 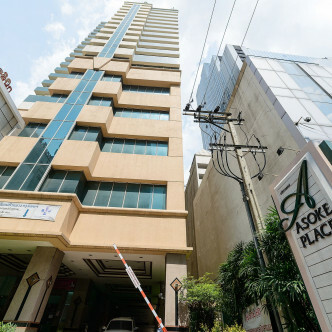 As the name suggests, the location of this impressive building is the Asoke district of Bangkok. 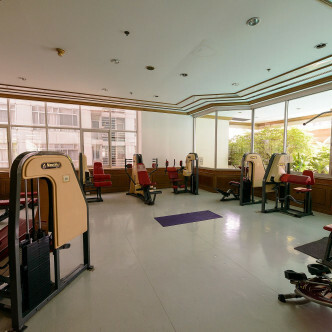 The apartment building is in easy walking distance of both the MRT and BTS networks, which makes it easy to travel to virtually anywhere in the city for work or recreation. 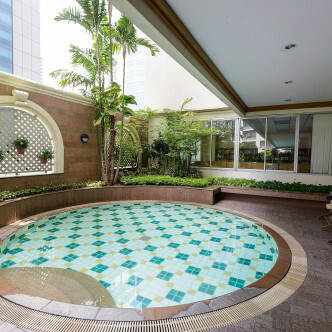 There are also plenty of local attractions and amenities for residents to enjoy including a pretty park, shopping opportunities and a wide range of both Thai and Western-style bars and restaurants.